Siberia in the basins of the Angara, Lena, and Nizhnyaya Tunguska Rivers. The administrative center is the city of Irkutsk. Population: 2,428,750 (2010 Census). Irkutsk Botanic Garden. The pink blooming bushes in the middle are a relic plant, Amygdalus pedunculata Pallas. Picea pungens Engelm trees are seen in the backdrop. 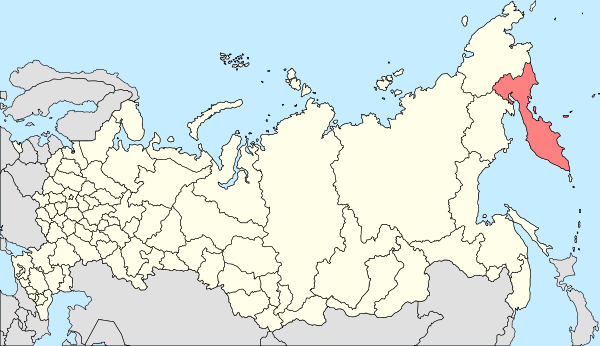 Irkutsk Oblast is the province's standing legislative (representative) body. The Legislative Assembly exercises its authority by passing laws, resolutions, and other legal acts and by supervising the implementation and observance of the laws and other legal acts passed by it. 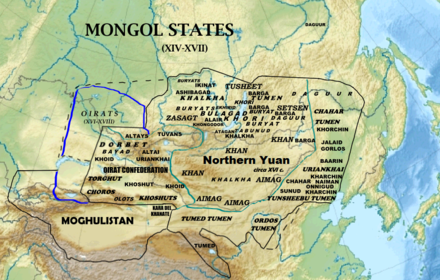 The highest executive body is the Oblast Government, which includes territorial executive bodies such as district administrations, committees, and commissions that facilitate development and run the day to day matters of the province. 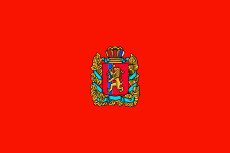 The Oblast administration supports the activities of the Governor who is the highest official and acts as guarantor of the observance of the oblast Charter in accordance with the Constitution of Russia. Demographics Population: 2,428,750 (2010 Census); 2,581,705 (2002 Census); 2,830,641 (1989 Census). Population: 2,424,456 (2012) Urban Pop: 1,929,263 (2012) Rural Pop: 495,193 (2012) Births: 36,935(2010) Birth rate: 15.2 (2010) Urban Birth Rate: 14.2 (2010) Rural Birth Rate: 19.1 (2010) Deaths: 35,105 (2010) Death rate: 14.4 (2010) Urban Death Rate: 14.1 (2010) Rural Death Rate: 15.7 (2010) TFR: 1.768 children per women. (2009) Urban TFR: 1.611 children per women. (2009) Rural TFR: 2.421 children per women. (2009)  Natural Growth Rate: +0.11% per year (+0.01% in Urban areas & +0.34% in Rural areas). 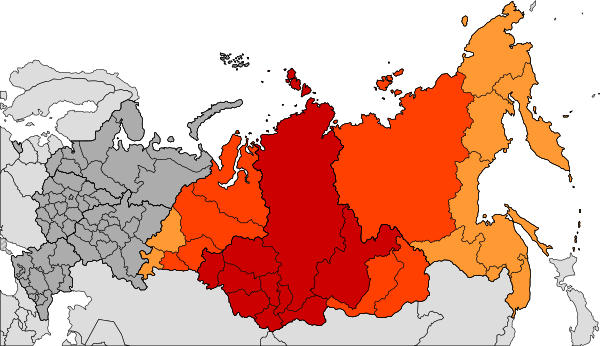 Christian believers without belonging to any church or are members of other (non-Russian) Orthodox churches, 2% of the population adheres to the Slavic native faith (Rodnovery), and 1% to Islam. 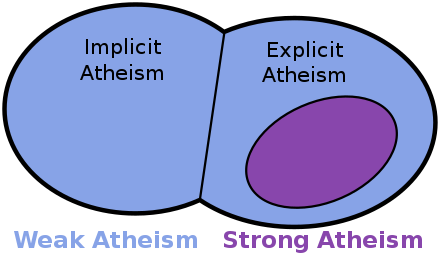 In addition, 37% of the population declares to be "spiritual but not religious", 17% is atheist, and 1.9% follows other religions or did not give an answer to the question. Russians dying of AIDS, drugs and despair". Retrieved December 5, 2015. ^ "WWW Irkutsk: AIDS problem in Irkutsk". Retrieved December 5, 2015. 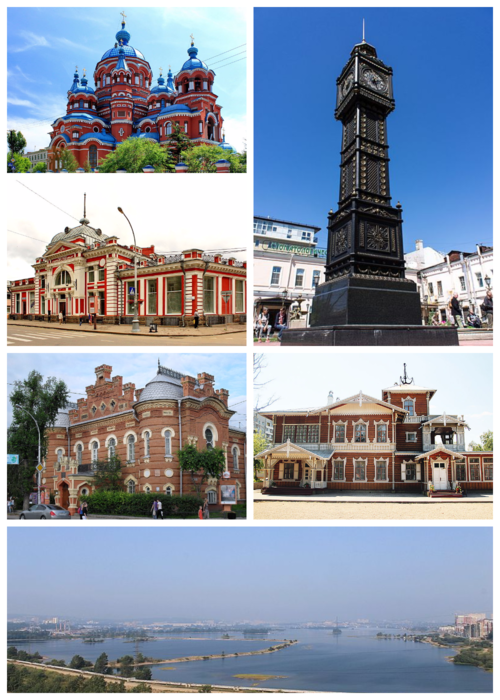 Irkutsk and Chita Oblasts. ). 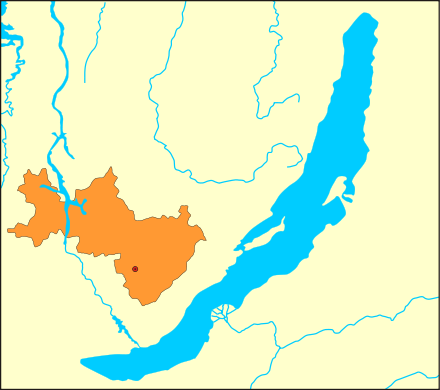 Irkutsk Oblast. "Irkutsk. 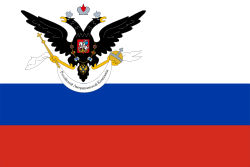 A governor-generalship and a government of Eastern Siberia". New International Encyclopedia. 1905.